Take control of your indoor air quality by reducing pollutants that can contribute to foul odors, headache, lung irritation and fatigue as well as more long-term conditions such as asthma, allergies and infectious diseases. 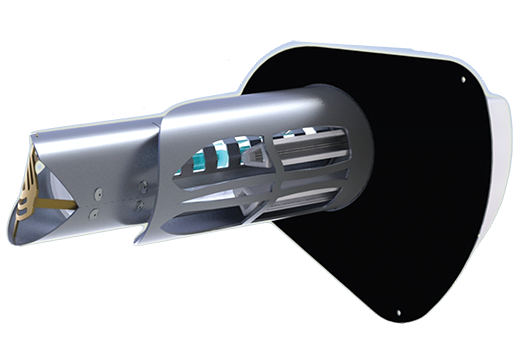 Reduce the risk of airborne infection and disease transmission by up to 99.97% with FDA 510k compliant, MICROCON® air purification devices. Most people spend over 90% of their time indoors, not knowing that the air they are breathing may be more polluted than the air outside. The Environmental Protection Agency has reported that indoor air pollution levels can be 100 times higher than the air outdoors. 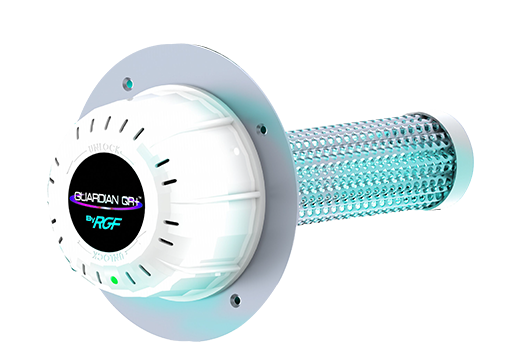 RGF is a proven leader in the Indoor Air Quality (IAQ) industry and we offer a broad range of patented and patent pending air purification technologies and solutions to almost any airborne problem, condition or application. Learn more about some of our most popular products such as the REME HALO® and Guardian QR+™ for the entire air conditioned space, our HVAC maintenance products such as the PanSaver™ and FinSaver™, and our newest offering the Blu QR® UV lights for effective coil sanitation. Our products yield 99+% surface and/or airborne microbial reductions. Reduce the following pollutants from your home or office. Many everyday illnesses are caused by viruses like the common cold or the flu. Although bacteria are small in size and usually microscopic, some can greatly damage living organisms, including humans. Drug-resistant bacterial infections are becoming an ever greater threat. 50% of all major office buildings have contaminated heating and air conditioning systems. If not properly maintained, they are a hotbed for growth of molds. Unwanted odors caused by things like pets, cooking, and garbage, exist in every home and office. Pollen is a common allergen in the United States, where 81% of the 67 million people that suffer from allergies are allergic to pollen. Dust is a mixture of substances that can cause allergic reactions, including dust mites. The average house collects more than 40 pounds of dust per year. Cigarette smoke contains more than 7,000 different chemicals of which a significant number are toxic and about 70 are known to cause cancer. A very light weight substance and can remain suspended in the air for a long period of time. An estimated 10-15% of the entire population may be allergic to cat or dog dander. All I have to say is WOW!!! 7 Time Finnish Ice Hockey Champion, Oulun Kärpät, stays healthy with RGF’s PHI Technology.